Henry Ford Macomb Hospitals recently broke ground on a new development in Richmond. The hospital plans to relocate its Richmond Health Center to a new, 21,520 square foot one story facility that will be larger than the current location, and is closer to Richmond’s center of commerce. Roy Rose, Anderson, Eckstein and Westrick & Eckstein President & CEO, addresses the officials and staff assembled for the Groundbreaking ceremonies. Richmond Chamber of Commerce Executive Director Jill Albin, AEW Senior Project Architect Jason Arlow, Richmond City Manager Jonathon Moore, David Lazzara, Larry Miller, Henry Ford President & CEO Barb Rossmann, AEW President & CEO Roy Rose, Henry Ford Executive VP & COO Gary Beaulac, Steve Heike, Wing Construction, and Richmond Mayor Timothy Rix were all on hand for the July 20 festivities. AEW is providing design, architecture, structure, civil, and electrical engineering services. Wing Construction is handling the construction for the new facility that is scheduled for opening in spring 2017. 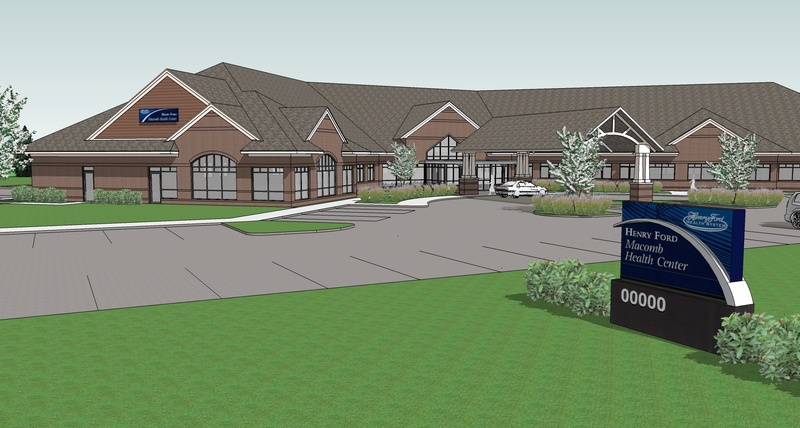 The new facility is located at 67267 Main Street, and will offer Family Medicine, Cardiac Rehabilitation, Physical Therapy, Radiology, Specialty Physicians, Community Health Education, and a Walk-in Clinic to better serve the citizens of northern Macomb and southern St. Clair counties. The new health center will feature a patient drop-off canopy, mobile MRI unit docking area, conference and support space, pharmacy and retail space, and 3,283 square feet of unfinished expansion space. Learn more about our service offerings. Work for the AEW team.